The Department of the Environment of Energy has received an application for a Wildlife Trade Operation under part 13A, section 303FN of the Environment Protection and Biodiversity Conservation Act 1999 (the EPBC Act). 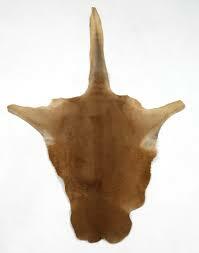 The application is for the commercial export of Eastern and Western Grey Kangaroo skins from Victoria. Should the operation be approved it is proposed that it remain in force for up to three (3) years. The so-called Pet-food trial of kangaroo meat in Victoria has now morphed into a kangaroo skin trade! Victorian Petfood Processors (Vic) P/L have sought a permit by the Federal Government to export Kangaroo skins. This is the reason behind the dramatic increase of Kangaroos killed under an ATCW permit. Please take the time to download and read the this proposal, (link above) you will find the link under ‘download’. The Victorian Government is asking for ‘comment’ about the proposal. So, just allow ATCW open-season, and surprise, the meat and skins are going to “waste” and now become commercial resources! How many “comments” have already been given about this so-called pet food “trial” of kangaroo meat, and trial that was never meant to fail? The genocide will continue of our graceful, peaceful native kangaroos, and the killing disguised as an “industry”! Formerly, Agriculture Minister Peter Walsh said he did not expect the processing of Victorian kangaroos to lead to any more kangaroos being killed in Victoria. ‘‘It will not mean any increase in the wildlife control permits at all, it is just utilising the waste that is there from the current controls,’’ he said. Mr Walsh said the shot kangaroos would only be used for pet food and there were no plans to use kangaroos culled in Victoria for table meat. Please write to the above address, or email, giving your opinion and supporting our iconic kangaroos – and their contribution to our environment/heritage. – A 1980s C.S.I.R.O. aerial survey of kangaroos in western Victoria (Short & Grigg, 1982, Aust. Wildl. Res. 9 : 221-27) surveyed virtually all the habitat of the red kangaroo (Macropus rufus) and the western grey kangaroo (Macropus fuliginosus) in the state. This survey revealed a surprisingly low total number and density of kangaroos in western Victoria which the authors directly attributed to the effects of intensive land use and the marginal nature of remnant vegetation. – More importantly, however, the CSIRO. study questioned the whole basis of kangaroo management and commercialization in Victoria with its keystone principle of agricultural wildlife destruction permits issued under Section 5 of the Wildlife Act 1975. How can it be considered “sustainable” now? – the problem is the liberal and excessive distribution of ATCW permits! Landholders are morally obliged to pursue ALL non-lethal options BEFORE killing! Now, they kill and call it a meat and skin industry? This is not damage control, but commercial profits! 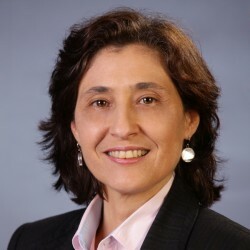 – The “trail” was never to fail, and it’s “helping to reduce waste by processing more than 30,000 kangaroos for pet food and creating jobs for regional Victoria,” Ms D’Ambrosio said. So the farmers can kill up to 30,000 kangaroos in Victoria, calling it a “harvest”, and then instead of “waste” it’s now commercially viable as meat and skins? More like a self-fulfilling wildlife “management” that’s designed to morph into profits! – Kangaroos are our iconic wildlife national animals, clearly identifying Australia on our flags and coins. Now they are just valued as skin and meat? What about being custodians of these animals, and honouring them? They are natural landscape managers and help reduce fire risks – not animals to be demonized and eradicated.